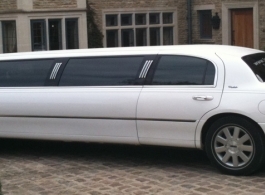 This 8 seat stretch Limousine is ideal for weddings offering wider and easier entry for a large wedding dress. 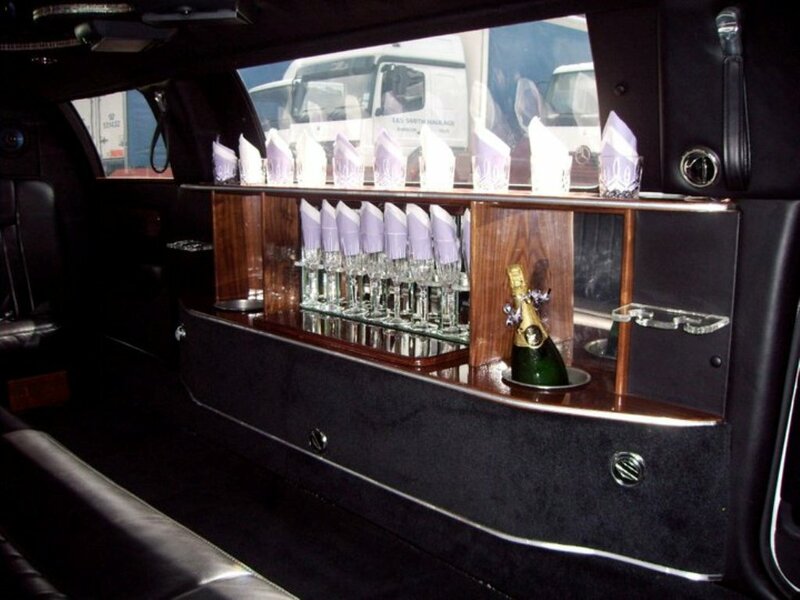 This wedding Limousine is also perfect for Hen & Stag nights, evening trips to concerts, the theatre and race days for small groups. 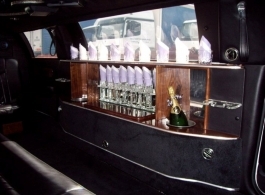 Supplied are your colour choice of ribbons and tissues, other features include a built in bar, Twin TVs, CD/radio, mirrored ceiling, neon lighting, air conditioning. 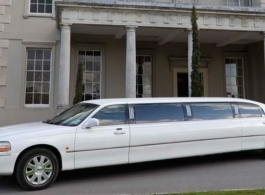 Operating Area: Local to Swindon at base price, will travel further afield.